That time of year is approaching again. The end of the school year. 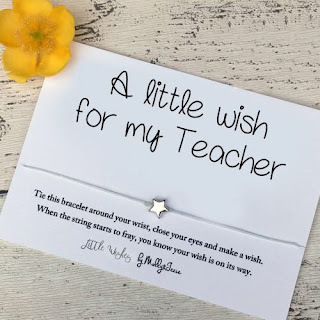 It's always nice to show how much you appreciate the hard work, dedication and not to mention patience of your child teachers. 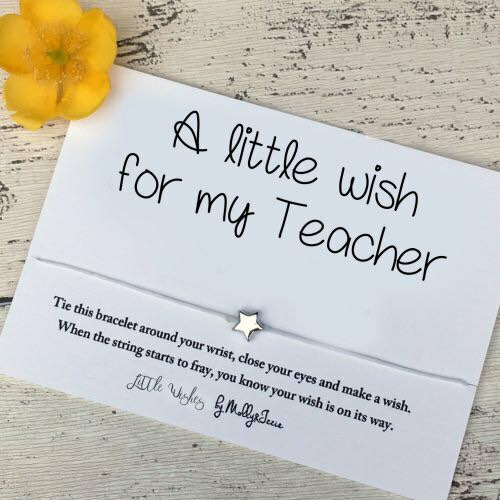 Here is a great list of unique gifts your favorite teacher will definitely cherish. All these gifts are perfect and most under $10... so hard to choose! What better way to thank your Number 1 teacher than with a personalized No. 2 pencil! 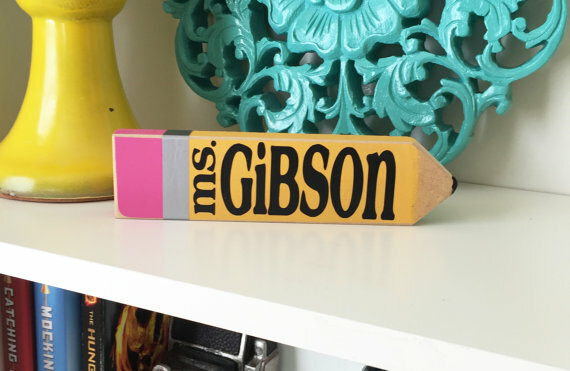 Each pencil is hand cut, painted and distressed. 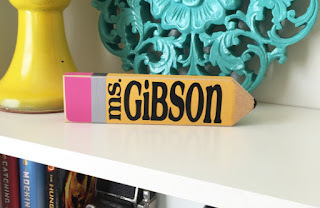 I add the custom name to the pencil to finish it off. 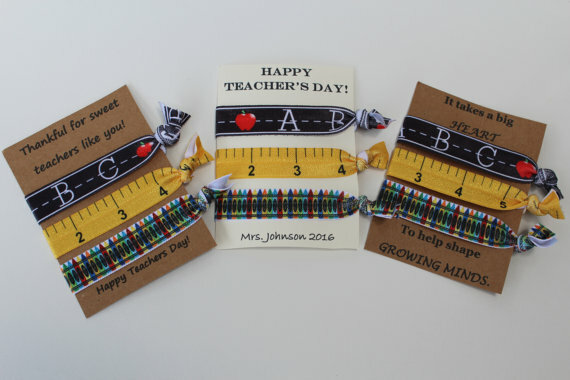 Perfect gift for your child's teacher for Teacher Appreciation Day or just because!! 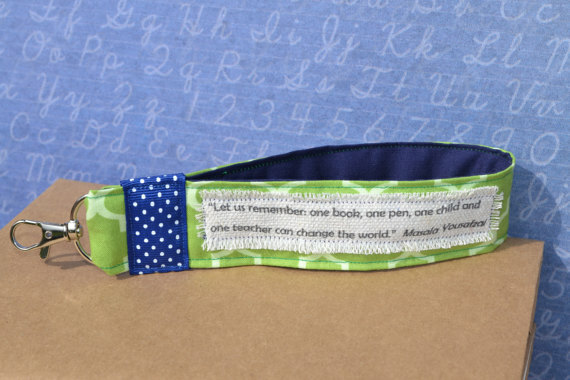 Comes with 3 hair ties, one chalkboard ABC's, one crayon, and one ruler. 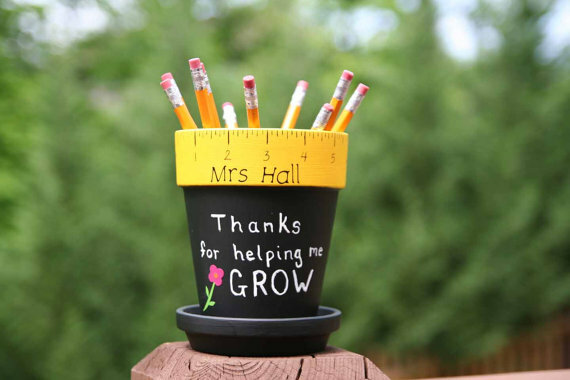 This pencil holder is made from a terra cotta pot. The pot base is painted with a black paint, then the rim is painted in a yellow. The lines, numbers and words are hand painted. Then a vinyl flower is attached.